Images of the new Super Heroes Avengers Infinity War sets were finally released, showing all the possible details (I love the set box images in this detail!) 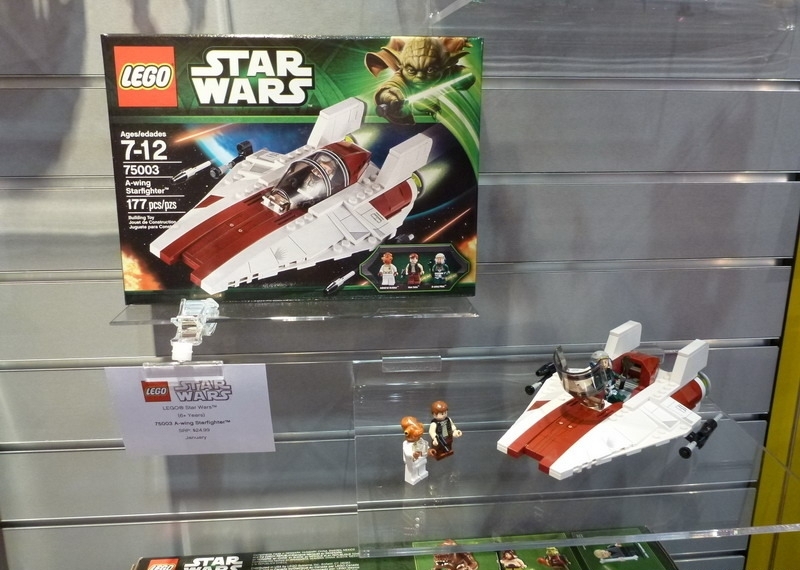 of the six new sets that make part of this wave. And the first impressions definitely couldn’t be better. 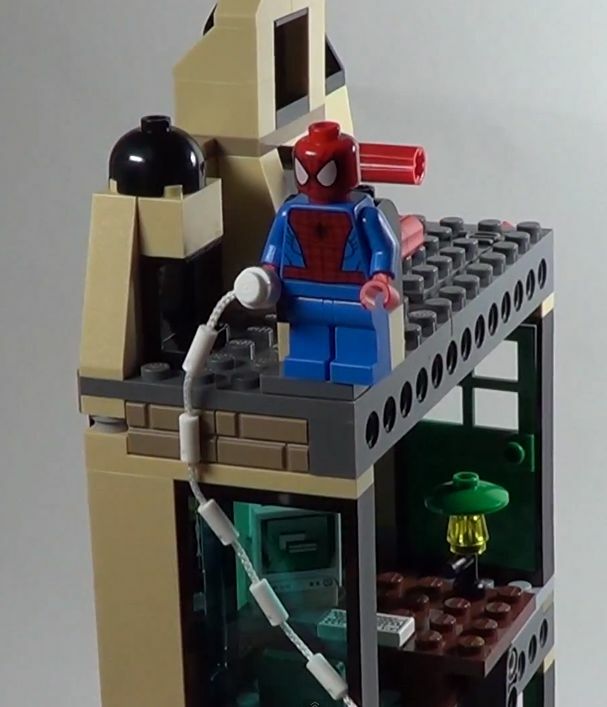 It’s impossible not to stop and observe all the images of the Sanctum Sanctorum Showdown (76108), a modular building with around a thousand bricks but the other five look also really cool with plenty of nice features to enjoy. In terms of availability they’ll presumably be on shelves next March with prices between the twenty and hundred and twenty bucks. 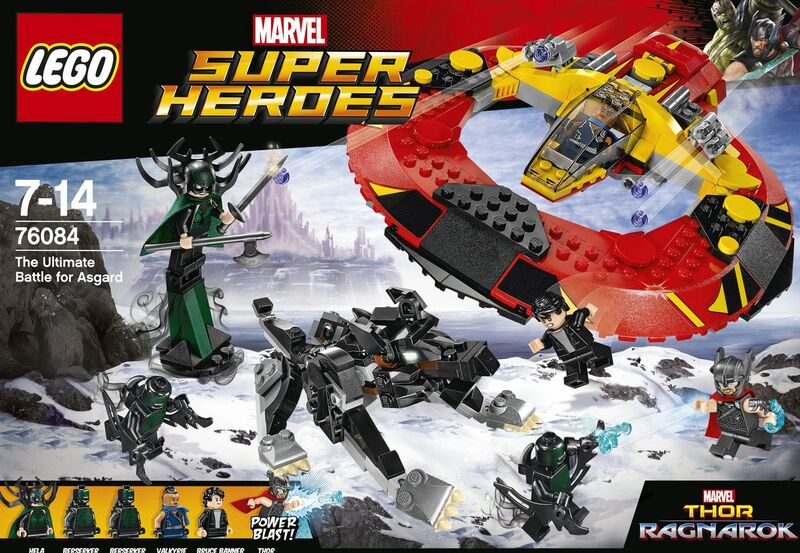 Images of the new Super Heroes Thor: Ragnarok sets have been revealed on Lego servers, showing more closely most part of their details and features. 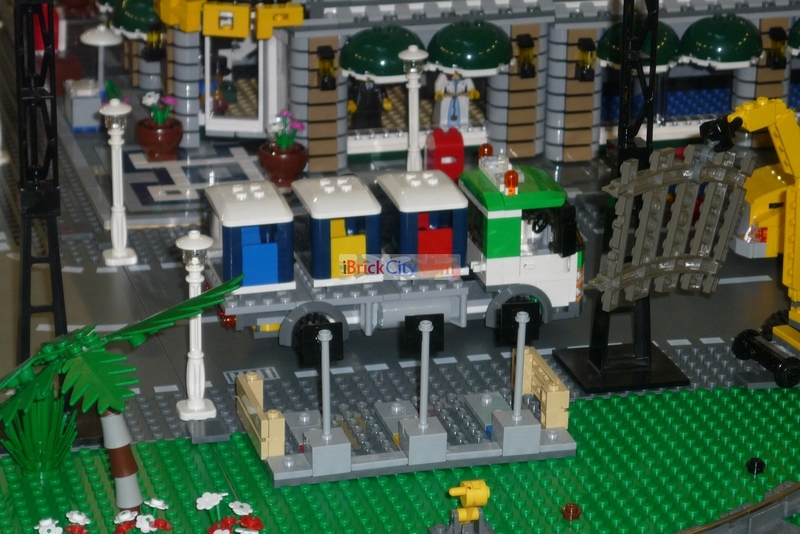 Particularly I always like to see the back of the set boxes where normally all the main features are clearly described. 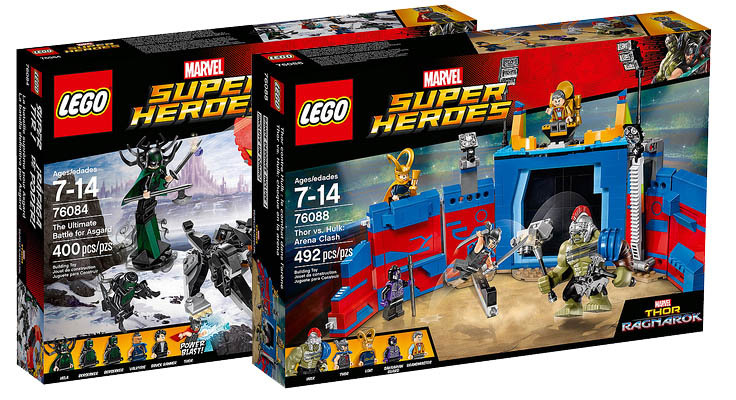 Pictures of two new Marvel Super Heroes sets have been published on several websites, showing two new middle size sets: the Ultimate Battle for Asgard (76084) and Thor vs Hulk: Arena Clash (76088). 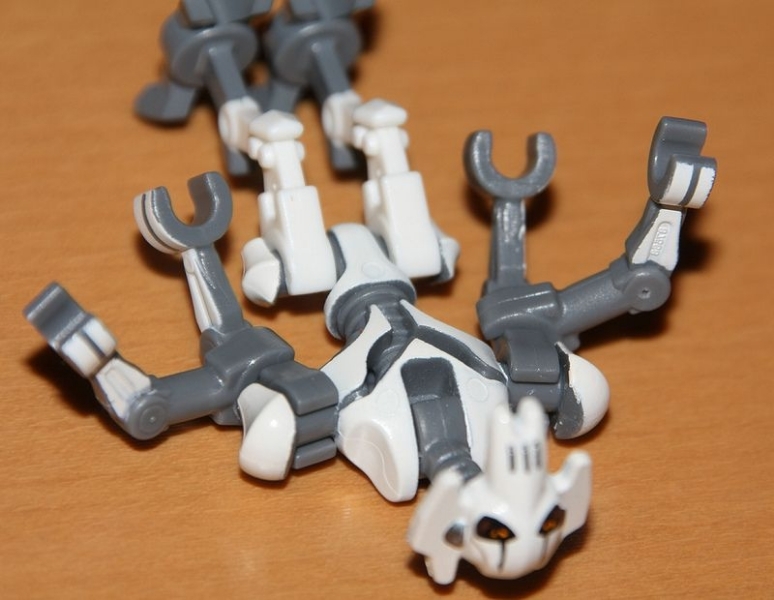 And from both, I’ll surely highlight the awesome mini-figures. 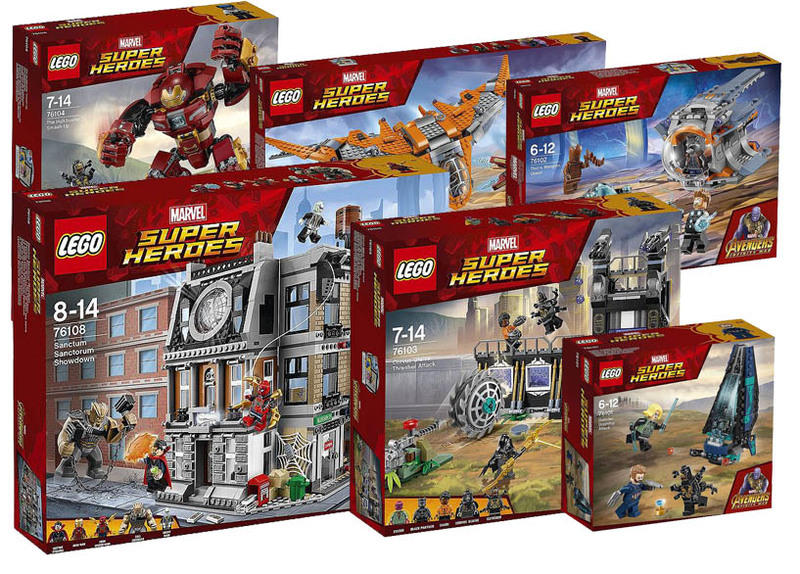 The ATM Heist Battle is a new Marvel Super Heroes Set that will soon be available on stores. 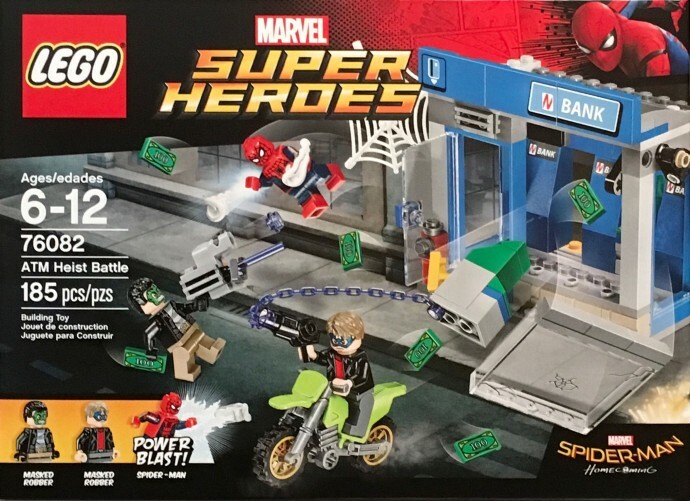 With a small size, only hundred and eight five pieces, it features a small building, representing a bank, three mini-figures (Spider Man and a couple of Masked Robbers) with nice accessories and a motorcycle for the escape. It might not be considered the best option if you’re searching for cars or unusual vehicles but I definitely like this set in terms of playability. The robbers look absolutely fantastic with their printed faces and unusual weapons (the laser gun with the stud shooter looks really cool). 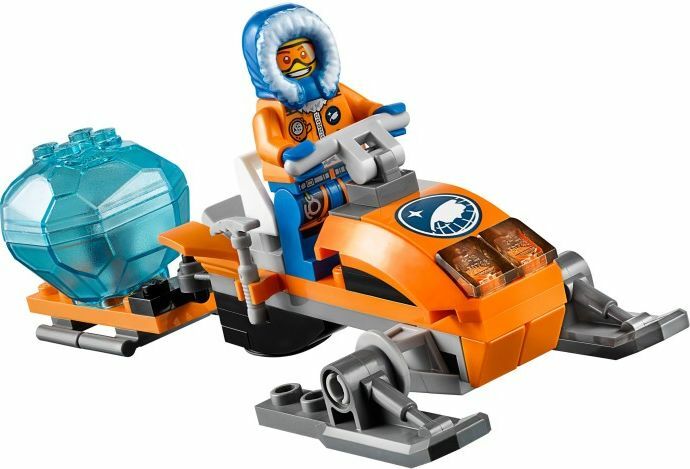 The green motorcycle despite not being a new model is also a nice added value to the set.